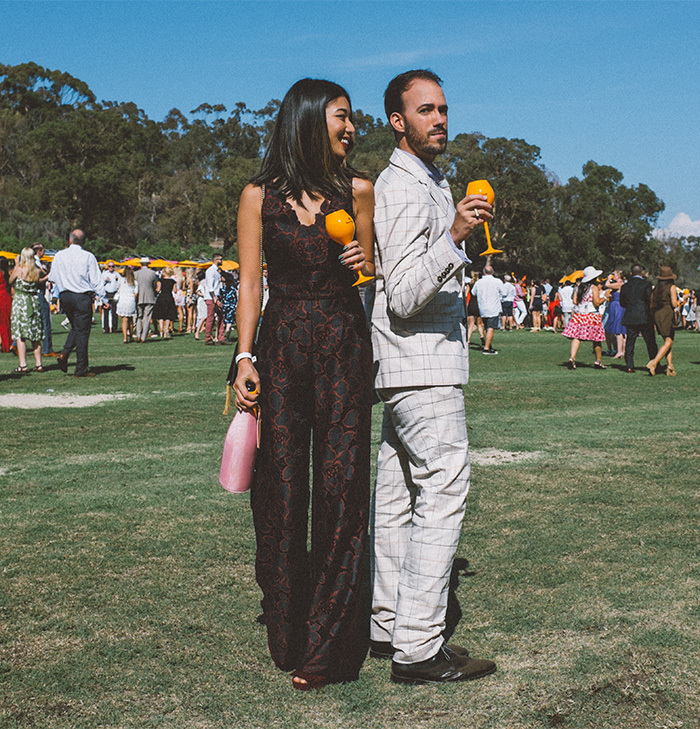 Celebrating our favorite event in style, with Trina Turk and Mr. Turk. 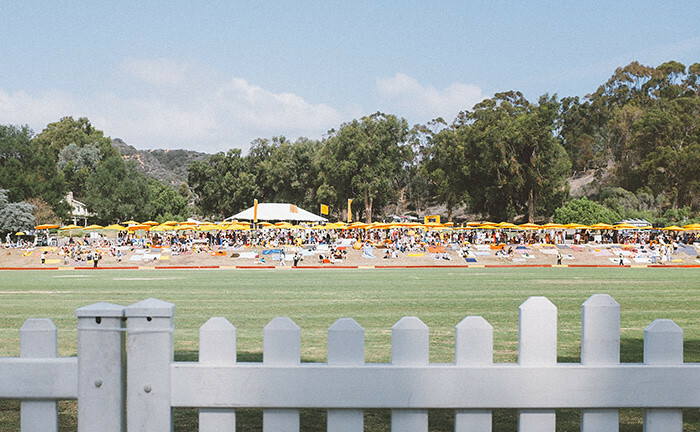 The Veuve Clicquot Polo Classic came around for the sixth year in Will Rogers and Kyle and I turned up for the third year in the row. 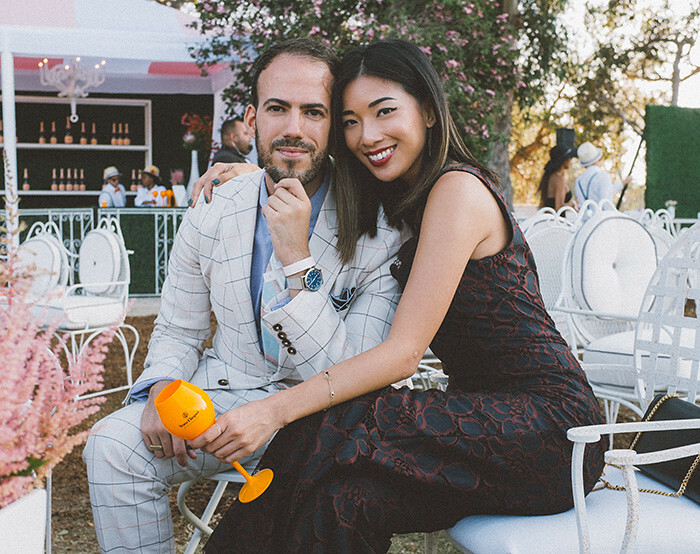 This year we partnered with Trina Turk and Mr. Turk to show off some of their latest new clothes among the most fashion forward and stylish. 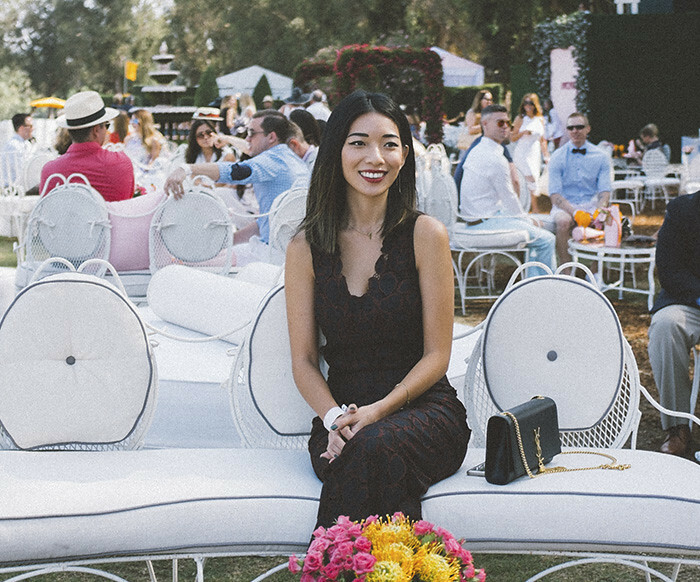 I chose to wear this lace applique jumpsuit from Trina Turk because of its timeless, feminine cut and lovely black and burgundy color combo that can work through a spring-worthy event in an LA-kind-of-fall. 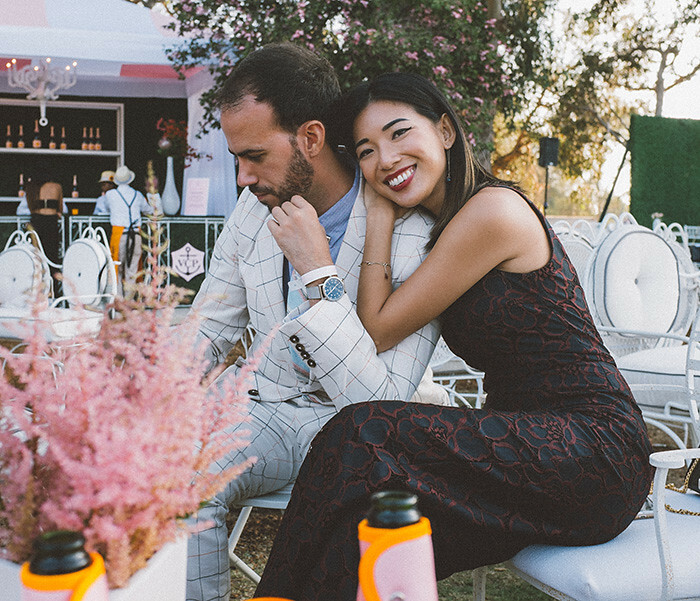 The decade-inspired jumpsuit was an effortless style to spectate and party in the sun, sharing flutes of champagne with friends from all over. 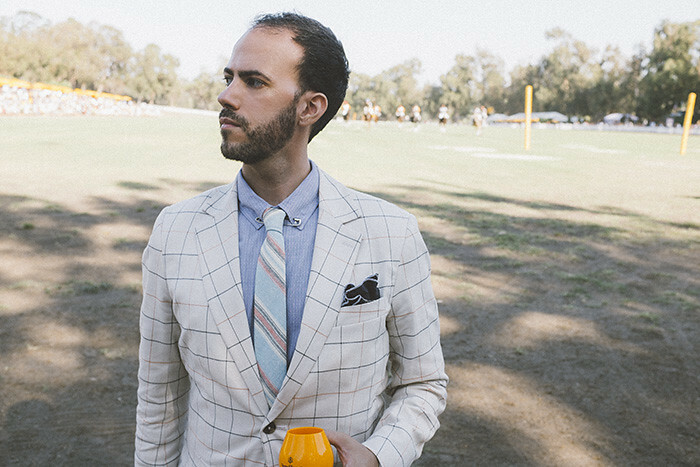 Kyle was dapper as always in a well-tailored suit and classic plaid print that perfectly sums up the gentleman's style at the Polo Classic. 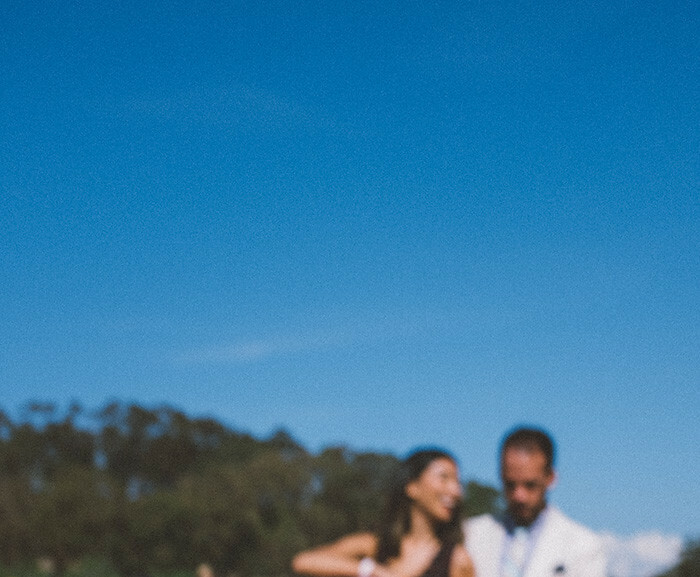 This year we experienced the other side of the polo field at the new Rose Garden, where Gatsby would've been proud to have lounged. 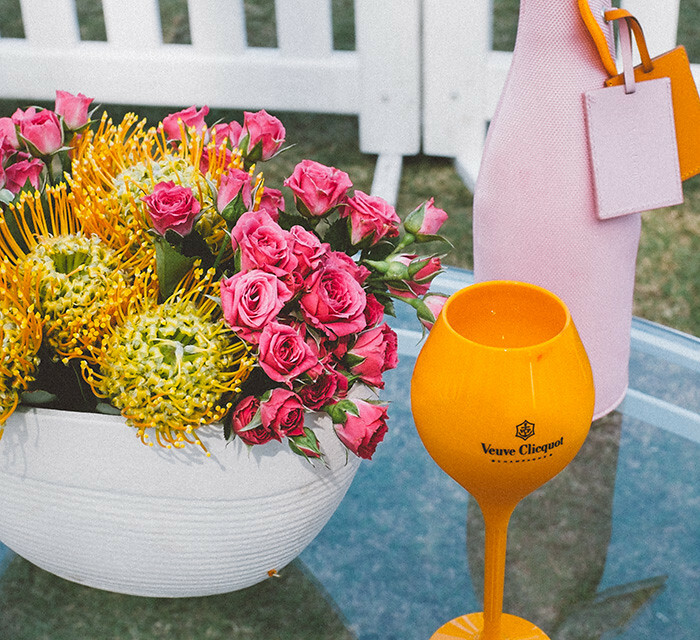 Delicate white iron sofas and cushy settees lined the picket fence and shades of orange and pink flecked the tables and atmosphere. It was a grand ol' time with a bunch of our friends and needless to say, this was the best year yet. 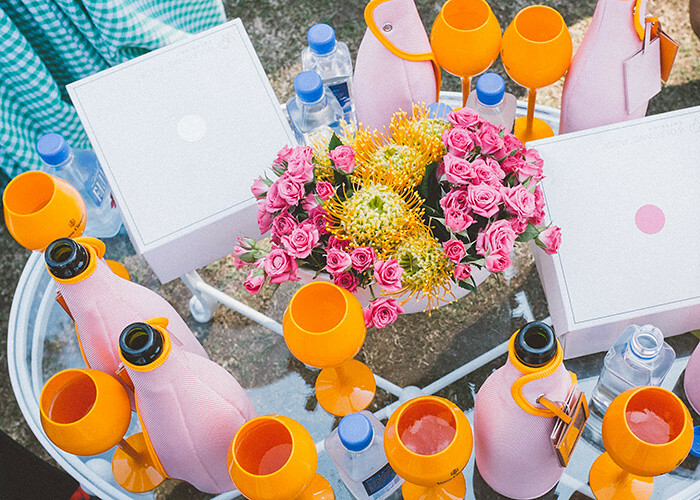 Check out a video of the fun in the sun we had from the Veuve Clicquot Polo Classic here! such a great look! 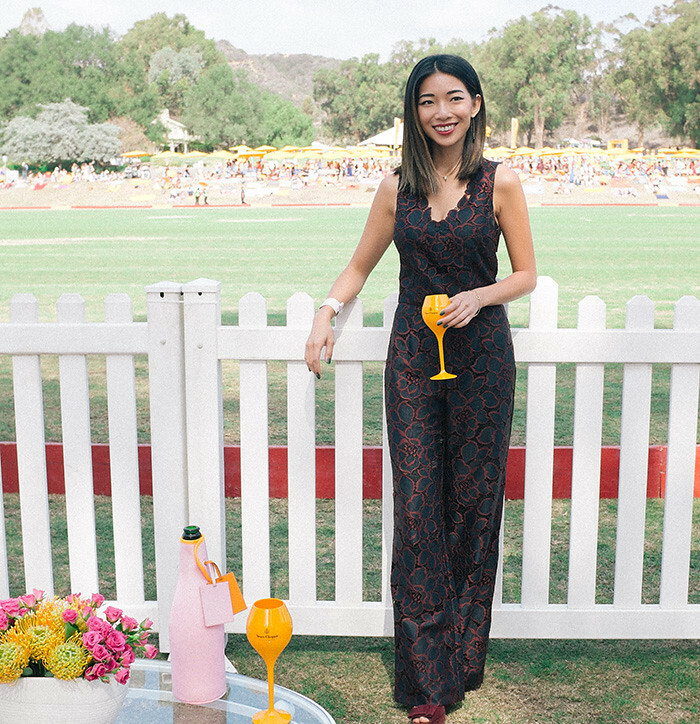 i love polo matches and i love how you opted for the fall colored jumpsuit versus a dress. hope you had fun!